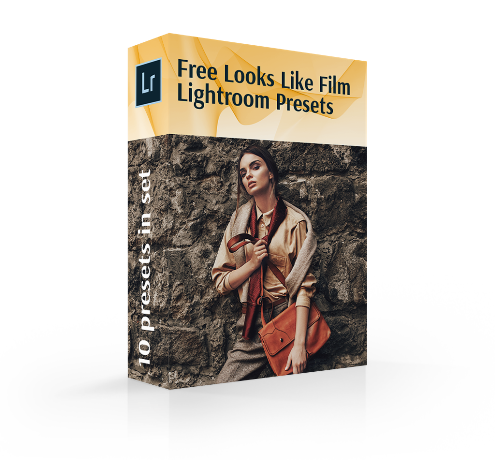 Download these Free Looks Like Film Lightroom Presets to get a realistic and popular film effect during photo editing. 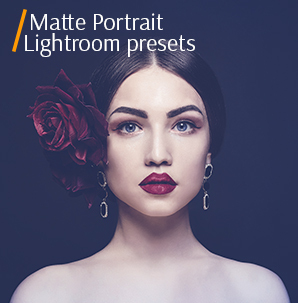 The bundle contains 10 basic Lr filters that are suitable for work with studio, indoor/outdoor photos, for images with different lighting and colors. These Looks Like Film presets were tested on different shots. If it is necessary, you can easily adjust the parameters to get the best result. Give your digital photos a look of old films as Leica, Kodak, VSCO, etc. 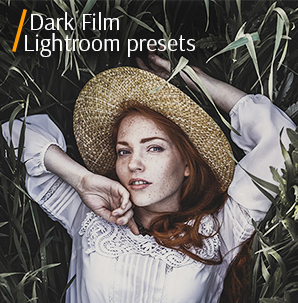 Enhance your photos with this set of Looks Like Film Lightroom presets. Use these Lr presets in the social networks, while editing your portfolio, customers’ photo shoots, or simply making a beautiful photo that will please you. Take modern fashion photos without spending a lot of time and effort in Lightroom. When you apply each preset, you get a flawless result. 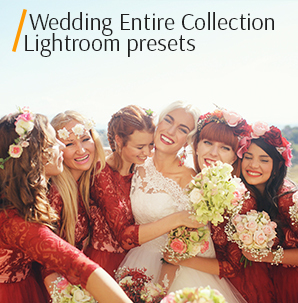 We offer you 10 Free Looks Like Film Lightroom Presets and a Premium Collection of Looks Like Film Lightroom Presets. LR Preset #4 "Kodak Gold 100"
LR Preset #5 "Kodak Gold"
LR Preset #6 "Portra 160"
LR Preset #7 "Sony Vegas"
LR Preset #8 "Best Astro"
Looks Like Film Preset #1 "Leica"
This preset was taken from "Portrait Pro"
We have sent it to your email (approx. time 1-2 min). Do your photos need more light? Then use this free looks like film filter. It makes your images lighter by removing the shadows and lightening dark areas. Too saturated tones will become softer and your picture will shine absolutely in a new way. Imitate the film effect of one of the greatest and most expensive camera brand in the world. Free Lightroom Preset #2 "Lxc"
This preset was taken from "Dark Moody"
This Lr plugin is perfect in many situations. It fixes problems with contrast just in a few clicks. Your images will become clearer and sharper. Both the main and middle tones will be significantly improved. This Looks Like Film preset is a great option for outdoor photos as it improves highlights and shadows. Lr Looks Like Film Preset #3 "Film"
This preset was taken from "Film Effect"
Would you like to add some charm of old photos? Then try this kind of Looks Like Film presets. It will bring warm tones to the image, remove unnecessary shadows and soften the sharp lines. Your photo will look like a still frame from a good old movie. Lightroom Preset Free #4 "Kodak Gold 100"
Using this filter, you can quickly improve too dull images. This variant of Looks Like Film presets affects the values of shadows, light, and contrast, making all the details more expressive and clear. Changes occur both in the foreground and background. As a result, the photo looks amazing. All tones and colors are pure and natural. Free Looks Like Film Preset #5 "Kodak Gold"
This preset was taken from "Dark Film"
The main changes take place in contrast settings. They result in clearer and sharper pictures which you get after applying this Looks Like Film preset. It is perfect for the shots taken outdoors under poor lighting conditions. The whole picture becomes brighter and clearer. Using this filter you can highlight previously unnoticeable details and get rid of small light flaws. Free Adobe Lr Preset #6 "Portra 160"
Thanks to this Lr filter, your picture will acquire a slightly orange-red shade. This Looks Like Film plugin works great with studio and outdoor photos. It affects brightness, sharpness, clarity, and contrast. This filter also improves skin color that is very important for portrait photography. Looks Like Film Preset Free #7 "Sony Vegas"
If you are going to change your pictures by using Looks Like Film presets, test “Sony Vegas” and get stunning results. This preset positively affects the color palette of your images. Bringing a bit of light beige and golden hues, the filter adds a special charm to the picture. It eliminates oversaturated areas and gives them a natural look. Free Looks Like Film Preset Lr #8 "Best Astro"
This plugin will be a great tool for quick correction of white balance. It affects the saturation and as a result, too bright and saturated colors will become more delicate and light. If you need to improve the model's skin or eliminate minor defects in the background, this Looks Like Film preset will help to cope with the task quickly and efficiently. Looks Like Film Lr Preset #9 "VSCO"
If you want to quickly achieve the desired results by making changes to the light and shadow settings in just a few seconds, then use this kind of VSCO filters. Soft light scatters throughout the image, making the shadows less visible. Colors acquire a more natural and attractive glow. Adobe Lightroom Preset #10 "Fashion"
This Lr preset replaces cold shades with warmer ones. It changes the ratio of light and shadows. You get a stunning photo with excellent contrast. Colors and shades look a little faded, which is fully consistent with this type of Looks Like Film Lightroom presets. Do you want more Free Lightroom Presets? Check out what we have.